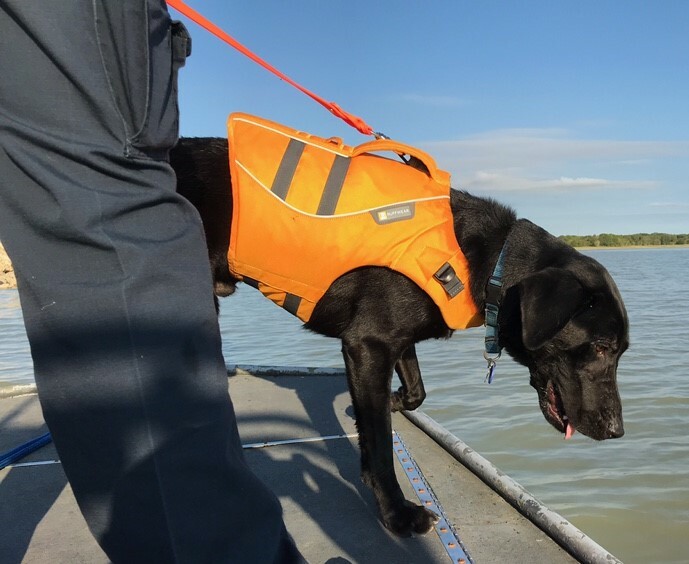 posted: September 26, 2018 by: Jessica Guyett Tags: "Clinic Specials" "News"
Dr. Kim Stewart and Seamus are actively involved in the Search Dog Network, specializing in locating human remains. Organized in 1997, Search Dog Network (SDN) is a Canine Search and Rescue Team based in Bryan/College Station, Texas. Our mission: to Train, Certify and Deploy professional Search Teams to locate lost and missing persons. Our Primary Search Area is the Texas counties of Brazos, Burleson, Grimes, Leon, Madison, Milam, Robertson and Washington. We respond outside of this area when contacted by Law Enforcement or when requested as mutual aid by another Search & Rescue resource.